This method requires you to know your login credentials, if you forgot your password please try the next step. Click on the Lost your password? Wait as your new password is emailed to you. If you used the script installer to install WordPress, then you can easily reset your password using Softaculous. 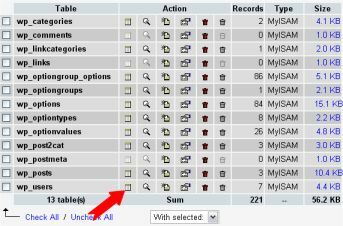 Use phpMyAdmin at your own risk. If you doubt your ability to use it, seek further advice. ExactHosting is not responsible for loss of data. 15. Click the 'Go' button to the bottom right. 16. Test the new password on the login screen. If it doesn't work, check that you've followed these instructions exactly. It updates the administrator password and sends an email to the administrator's email address. If you don't receive the email, the password is still changed. You do not need to be logged in to use it. If you could login, you wouldn't need the script. As instructed, enter the administrator username (usually admin) and the new password, then click Update Options. A message is displayed noting the changed password. 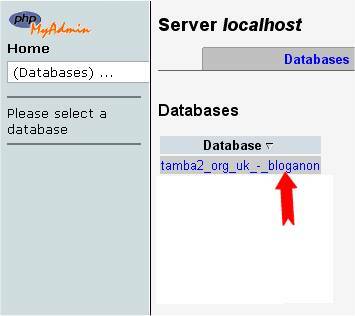 An email is sent to the blog administrator with the changed password information.